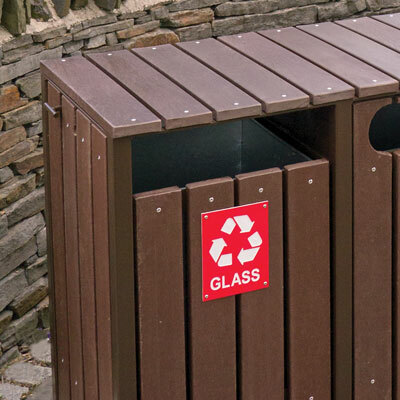 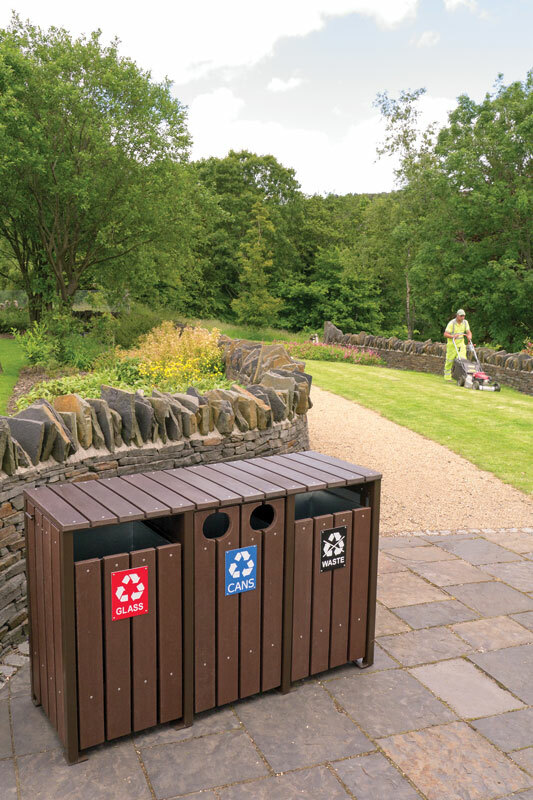 Our recycling units have been designed to offer robust, attractive solutions for collecting separated waste in rural environments where typical shiny or brightly coloured designs would be unsuitable. 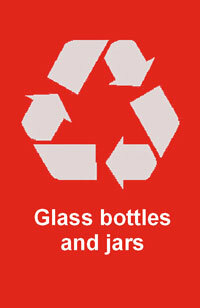 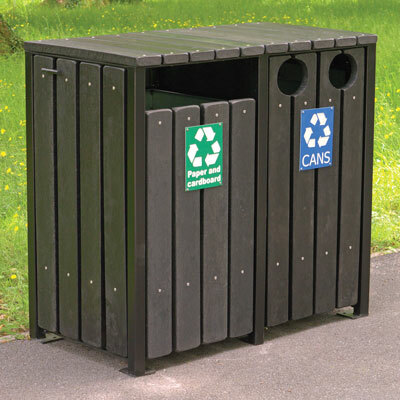 We offer two sizes of recycling unit: 330 litre and 220 litre. 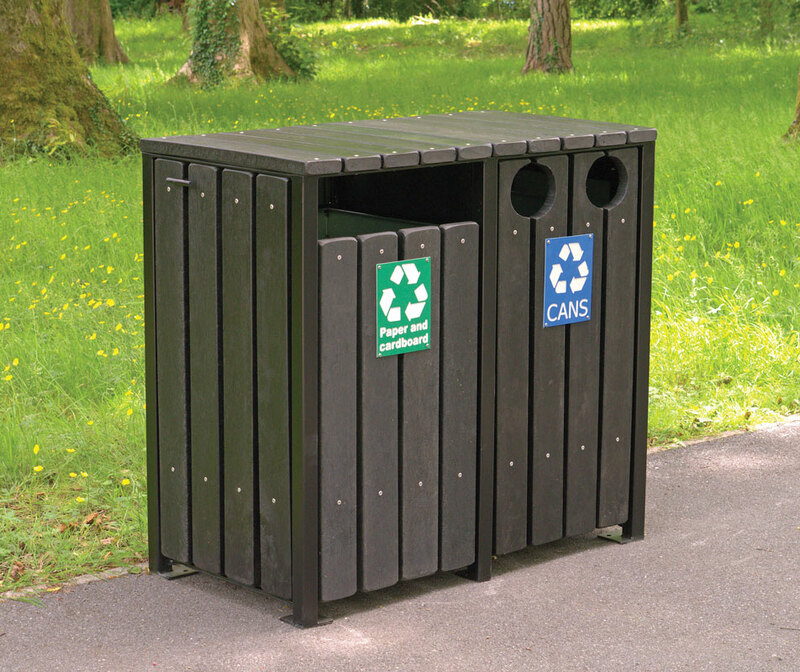 The 330 litre unit has three separate waste collection bays and the 220 litre unit has two. 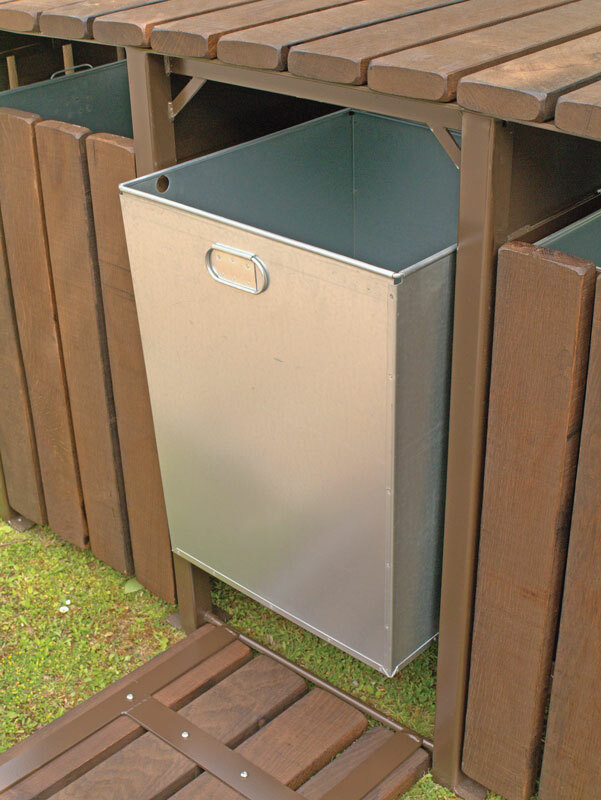 Each waste collection bay has its own galvanised steel liner accessed via a hinged door retained by a tamper resistant slam latch. 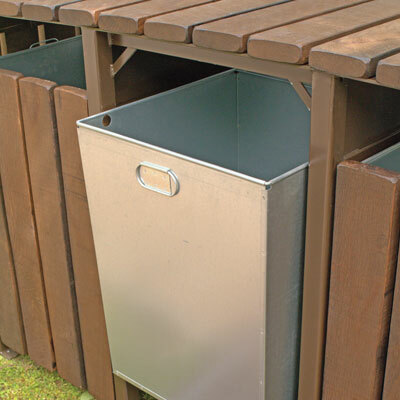 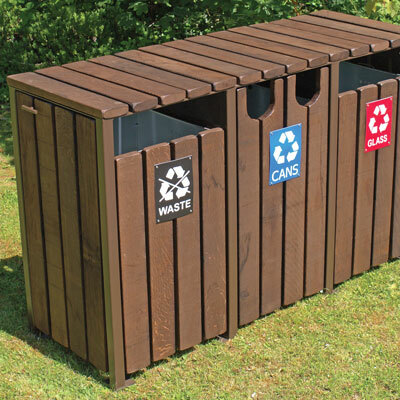 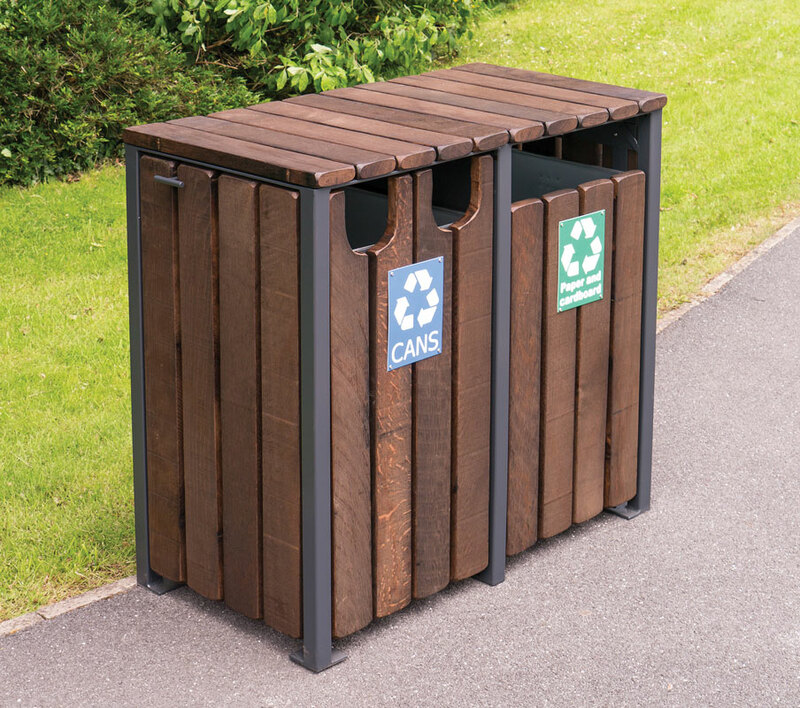 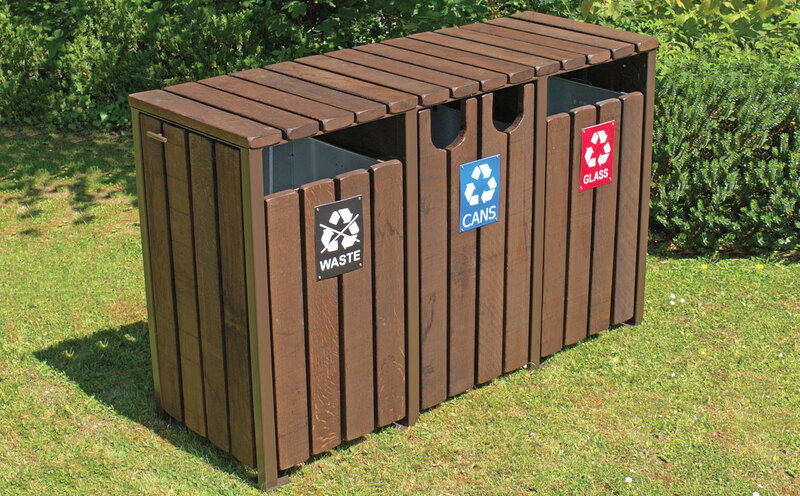 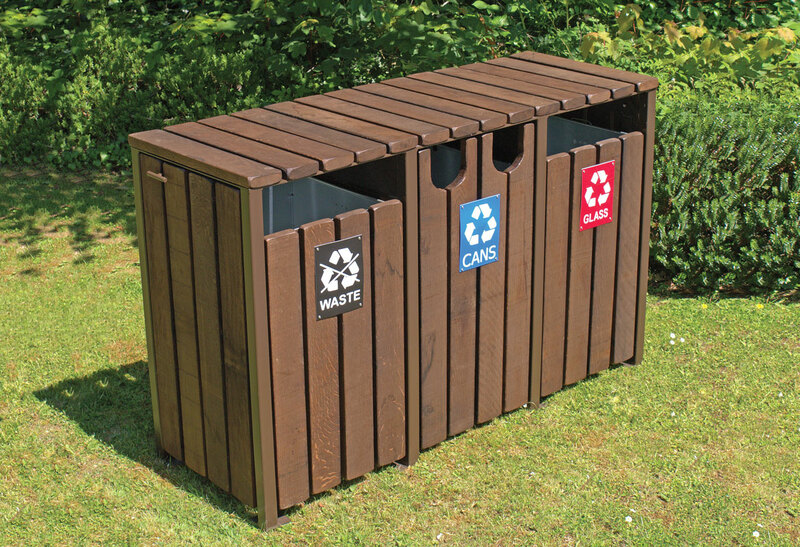 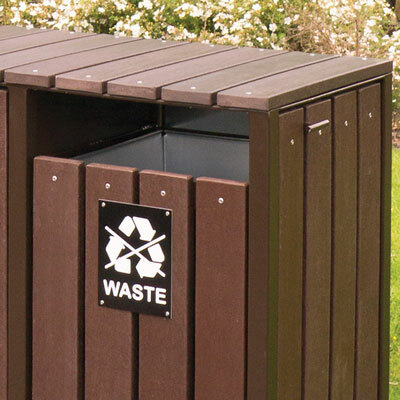 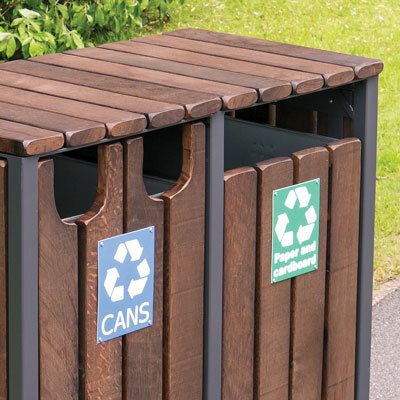 Both sizes of bin are available with recycled plastic slats in black or brown. 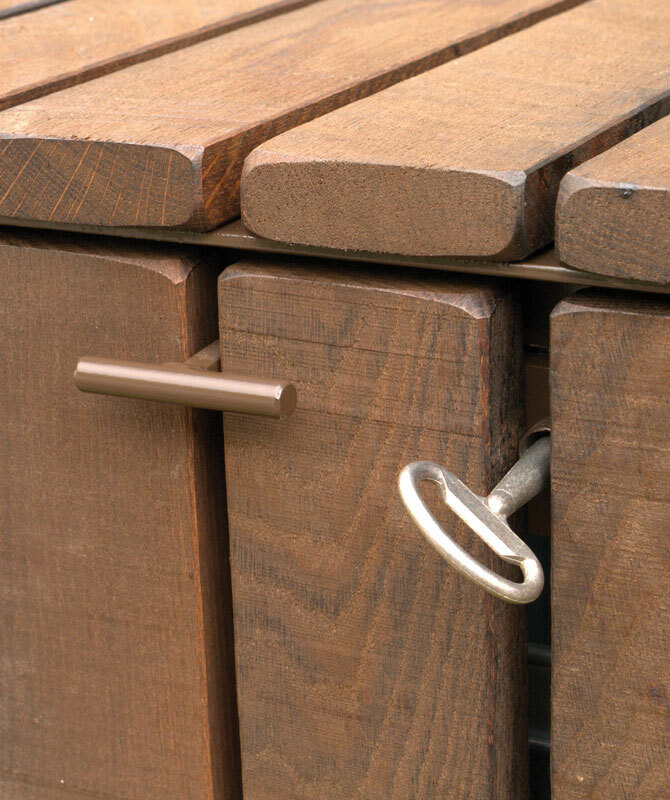 Alternatively, for a more rustic, natural appearance the slats can be specified in partially dried European oak finished in dark oak stain. 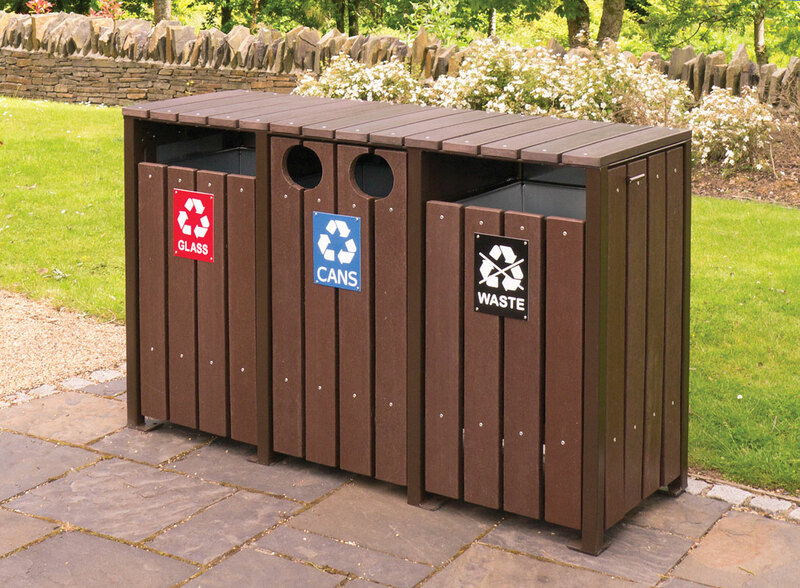 We offer standard configurations of waste aperture as shown in the following photographs, but we are able to accommodate customer requests for different apertures to suit specific applications. 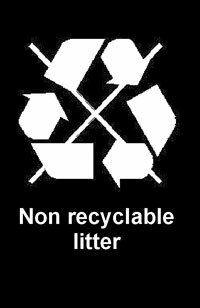 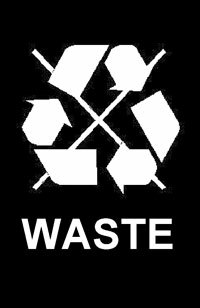 A variety of engraved plastic signs covering a range of waste materials can be supplied pre-attached to the units. 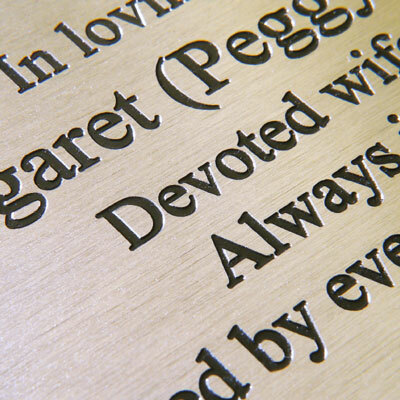 Bespoke signage can be supplied to customer specification at additional cost. 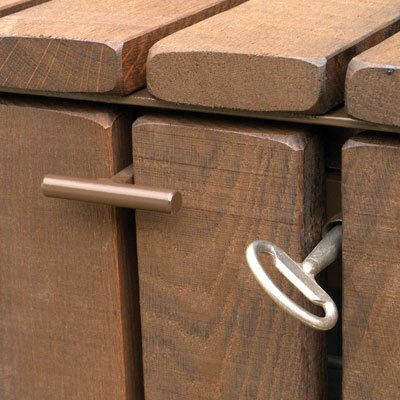 Supplied with pedestal base legs (for bolting down) as standard.